It's likely that you already know what a "first look" is if you're reading this. But, you just may be indecisive as to whether or not you want to forego the traditional route and incorporate one into your wedding day timeline. Below you can find some helpful information on this hot topic, and a live discussion on this topic can also be found on an episode titled Should I Do a First Look? on The Bride Guide Podcast. 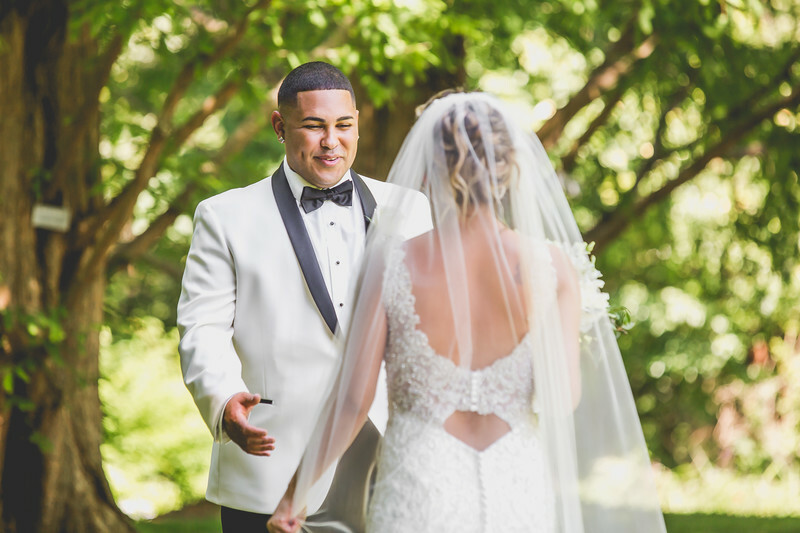 If you don't know what a "first look" is, it's an option for the couple to be able to see each other before their wedding ceremony, and have an intimate moment with just one another, instead of waiting until one walks down the ceremony aisle to the other before they say "I do". Whether or not you do a first look on your wedding day will affect your overall wedding timeline of events. You can even do a first look with a parent or other important family member! "The first look was the most anticipated part of my day. I knew once we saw each other we could get the party started and enjoy everything together. That was important to us... and the barn doors at The Hamilton Manor made it an even easier decision because we had the perfect location. It was mostly important, because if we didn’t do it we would’ve had to wait until 6:30 to have a moment alone and by then you’re rushing off to the reception. With the first look, we got to enjoy the afternoon with our bridal party and parents alone before the big event. Also, with first looks people say it takes away from the WOW of walking down the aisle and the bride/groom seeing each other, but I don’t think either of us were disappointed. It was still magical." 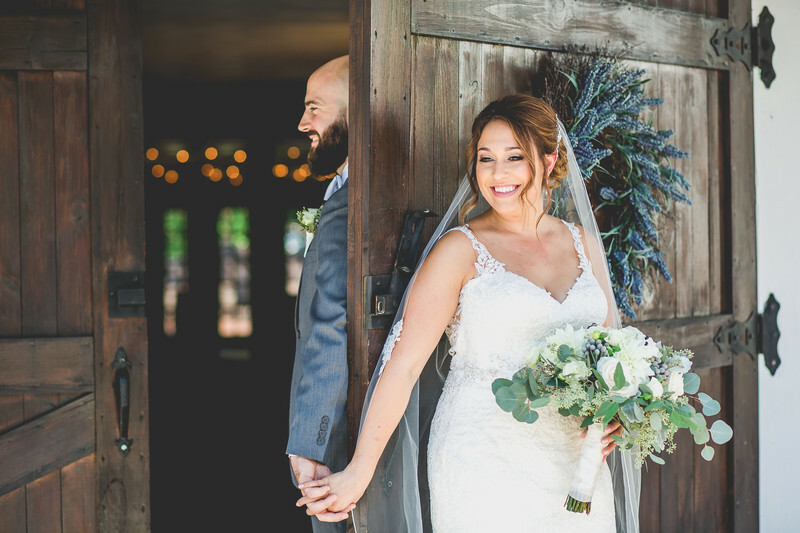 "The #1 reason we decided to do a first look is because we wanted to enjoy our cocktail hour! We also were able to thank and mingle with all of our guests during cocktail hour. Doing the first look, we were able to get most of our photos out of the way! I feel like we had the chance to get more photos done in multiple locations than we would have in just 1 hour or whatever the time frame would have been if we didn’t do it, since our ceremony and reception was at the same place. The first look was actually special to us because it was both of our “first looks”... of course Bryan had never seen my dress or me in it, but I also never saw Bryan in his tux. I chose not to go to his final fitting so that the first time I would see him in it was on our wedding day. It was a moment to enjoy and take in with just the two of us. We were able to “check each other out” and let it sink in that it was our wedding day.... we were all smiles and giggles when Bryan turned around and we got to see each other for the first time that day. It felt like less pressure that we got that first initial reaction out of the way, even though I still cried walking down the aisle. We also were able to hang out with the bridal party, our parents and grandparents before the ceremony. We got to let loose and even have a shot beforehand. 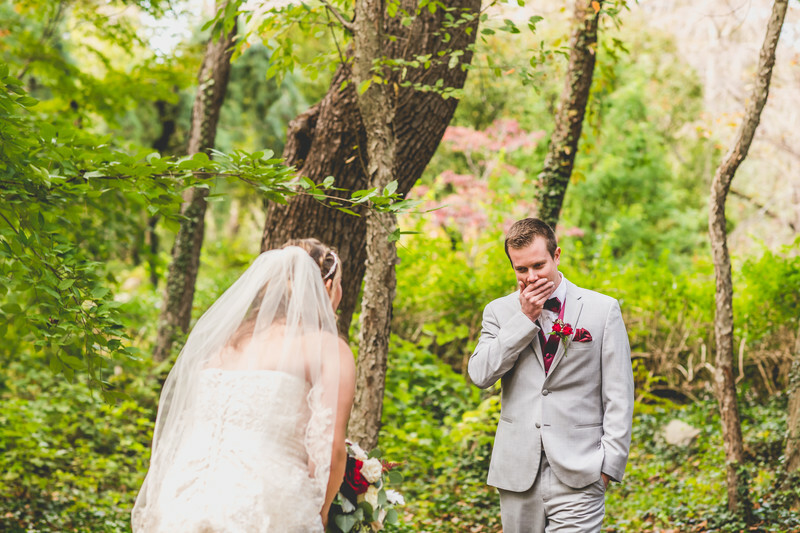 If we didn’t do the first look, we wouldn’t have gotten to share those extra moments together. The day goes fast as it is, so we’re thankful we got to spend those extra hours together!" "I chose to do a first look for so many reasons. One of them beginning Marc and I wanted that moment for a few minutes together that we wouldn't be able to get for the rest of our wedding day because we would be with everyone until it ended. I wanted to be able to see his reaction one-on-one and talk to him, hug him & just be with him for a little bit, because I knew our day would be SO busy. Rather than feeling that moment with everyone else watching it all. We also choose the first look because it is a great way to get pictures done that didn't take away from our cocktail or reception hours. We figured we are paying for this wedding so we should be able to enjoy it with everyone as well. It was awesome because we had 2 hours to take pictures with NO rush. I would truly recommend doing a first look." "The first look was probably one of the best decisions we made. We are very photogenic and we wanted to have a lot of pictures together on our wedding day. Being able to get all of our pictures together, then our photos with our bridal party before the wedding shenanigans start was a relief because once the ceremony starts the time flies by even faster. When we did our first look we had several hours before the ceremony began so it was very comforting knowing we did not have to rush our photos and we were able to take all the photos we wanted and gave us time to take photos after our ceremony with close family. 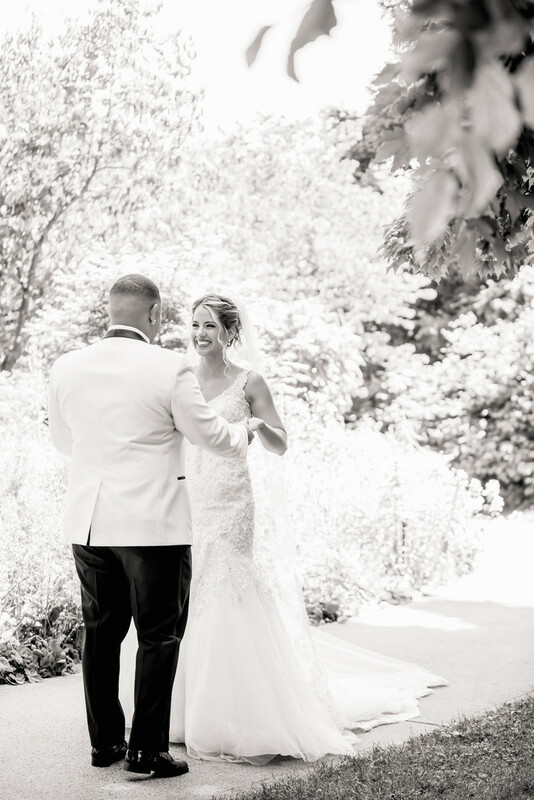 We chose to do the first look without our bridal party and any family around because we wanted that first moment to be one-on-one and enjoy each other's company before the day began, because once the day begins with everyone that one-on-one time can become difficult to come by." "We liked doing the first look because it gave us the opportunity to spend cocktail hour with our guests instead of having to take pictures. It also made it easier to spend our afternoon taking pictures instead of trying to find our bridal party during cocktail hour and having to keep them all in one group. (They all love to party so the quicker pictures were done the better it was!) 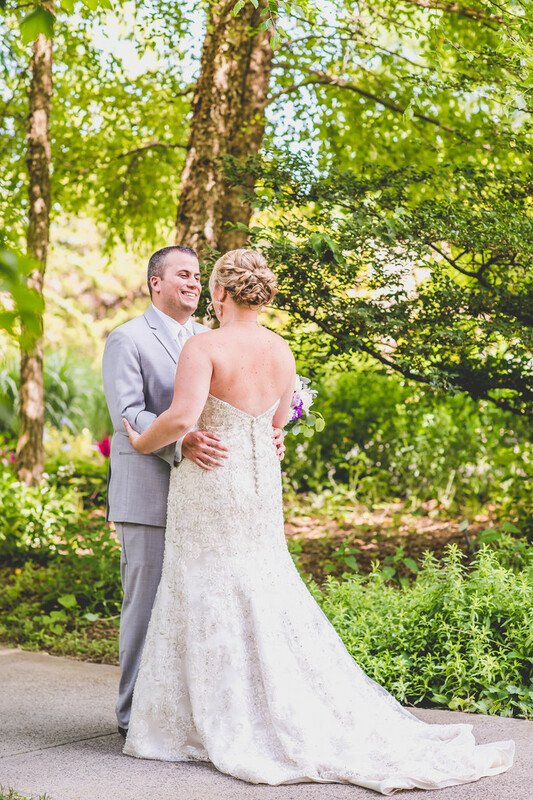 We went with the decision to see each other beforehand because we wanted to be able to see everyone and not have to worry about trying to say hi to everyone during the reception with so much going on." "I was concerned about taking time away from enjoying our wedding. By having the pictures early, we were present for almost our entire cocktail hour and reception. The day goes by so quickly. By having the first look and pictures early, it does take a lot of the stress off. I would advise every bride to do a first look." "Andrew and I knew we wanted to do a first look all along. We wanted to be able to see each other for the first time and it be just the two of us (and I knew I would be less nervous walking down the aisle to him). The moment before we turned to see each other still takes my breath away. 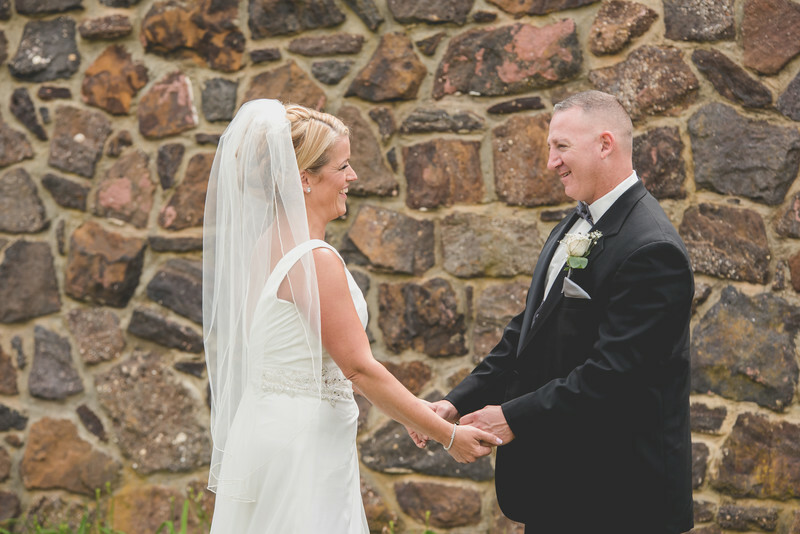 It was also nice to be able to spend as much time as possible with our family and friends right after the ceremony because we had already taken a majority of our bridal shots." 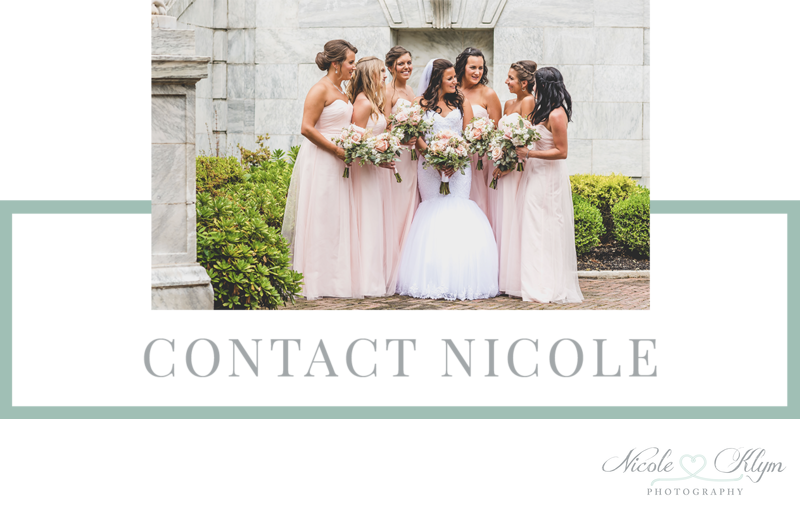 Nicole Klym Photography is based out of New Jersey and available for travel for an additional fee.